LYF Earth2 Smartphone With Retina Scanner Launched in India. 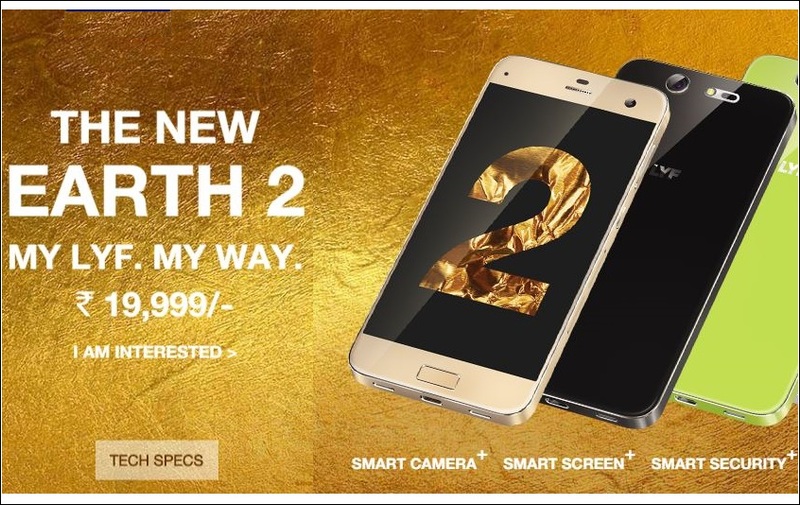 This LYF Earth2 Smartphone with Retina Scanner,launched in india.Its running on Qualcomm Snapdrogon octa core processor clocked at 1.5GHz powered by a 3GB of RAM and an internal memory of 32GB,The price Rs 19,999 device has non-removeabl bettery with 2500mAh and powerfull 13MP front and rear camera,Theese are the main highlights of this mobile. This mobile assembled with VoLTE Technology for better 4G experience,rear camera in this device is accompained by dual LED flash and laser auto focus. The selfie camera comes with face detection and auto focus,The device has sensors that are enable to users to assign unique fingerprints to start applications with just touch on lock screen. LYF Earth2 mobile has a best unique voice controlled camera,that can allow users convenience.